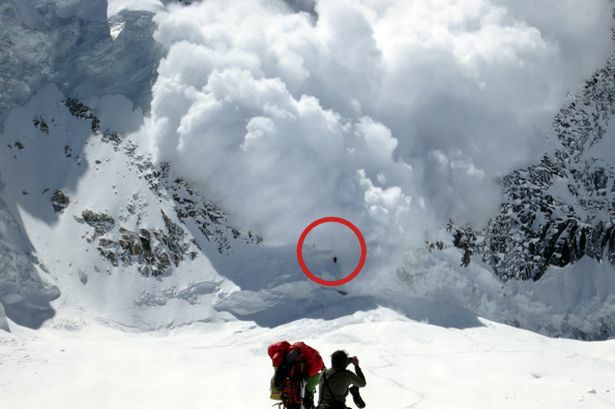 Climbers say that when you are over 24,000 feet, you enter the “Death Zone. Mistakes become lethal. So what does this have to do with investing? When you pay too much for growth or quality, you may never recover. VALUATIONS MATTER ALWAYS! First review the Nifty-Fifty Era when fifty stocks were “must own” for institutions in the 1970s due to their growth and quality. 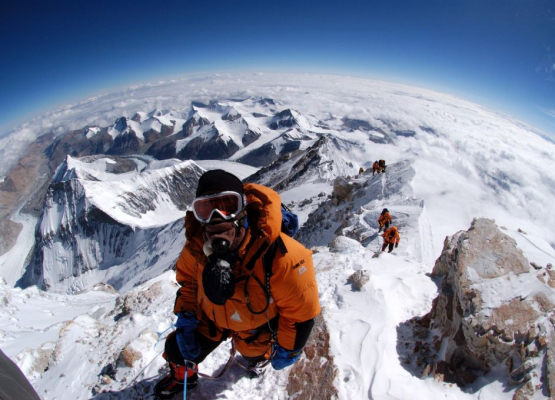 Money managers herded into them similar to this: Money Managers Herding Video. valuing-growth-stocks-revisiting-the-nifty-fifty (Note page 22, you as an investor would have eventually broke even, but almost no one would have been able to seat through the 1980’s UNDER-PERFORMING a declining stock market! Nifty Fifty Ignore the second half of these notes. Now think about how the pattern repeated in the Internet years of 1996 to 2000 when MSFT and INTC were the must own stocks of their era. Congratulations! If you bought back in 1999/2000 when the press was lauding these “must own” stock for the future, you are now in the black. Even if you pay too much for stable, high quality companies, you can lose even as the companies grow sales, cash flows and earnings year after year after year. Note: KO_VL_Jan 2013 (See P/E ratio as a proxy for investor enthusiasm and compare to financial metrics). What is not to like? 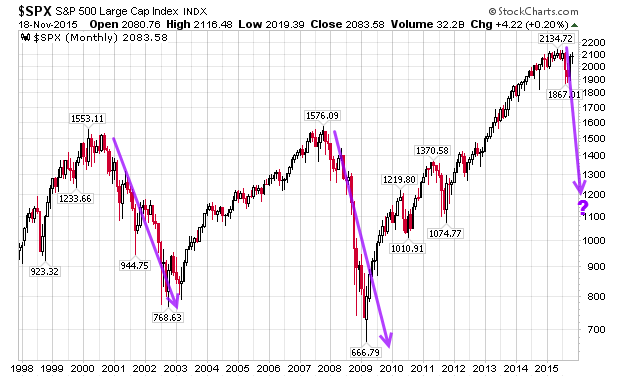 So why did the price go sideways for almost a decade after 1998? 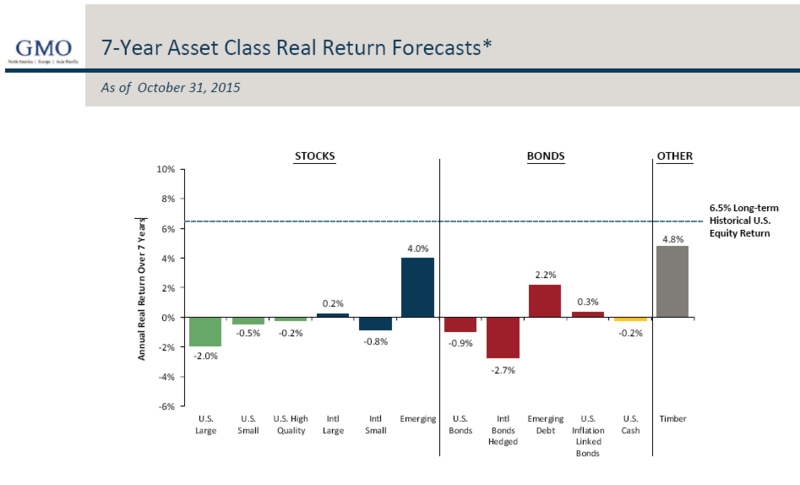 Investors adjusted their expectations. One thing to never forget is that the market is mostly efficient but not ALWAYS efficient or correct. 2 plus 2 equals 4 not 10. The last Internet frenzy gives a perfect case study in Sun Microsystems (SUN). Sun Microsystems has always intrigued me. For a number of years, it seemed as if the company could do no wrong. During the early 1990′s, Sun occupied the top position in high performance computer workstations, a category of computing that has since virtually disappeared thanks to advances in PC hardware. Despite desperate attempts to unseat it from its leadership position by worthy competitors like HP, DEC, and IBM, Sun was able to prevail. Q: Sun’s stock hit a high of $64 or adjusted in the chart above of $250. 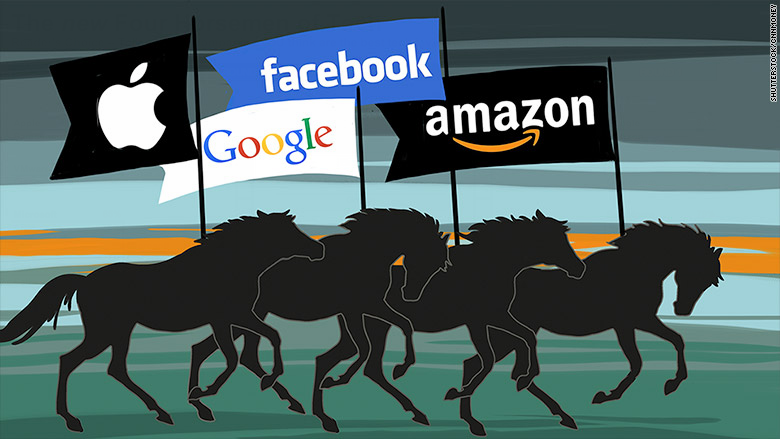 Did you think what tech stocks were doing two years ago was too good to be true? (Date of the interview was March 2002). A: No, she trained me well, and the stock made a nice move since we got married. But two years ago (2000) we were selling at 10 times revenues when we were at $64. At 10 times revenues, to give you a 10-year payback, I have to pay you 100% of revenues for 10 straight years in dividends. That assumes I can get that by my shareholders. That assumes I have zero cost of goods sold, which is very hard for a computer company. That assumes zero expenses, which is really hard with 39,000 employees. That assumes I pay no taxes, which is very hard. And that assumes you pay no taxes on your dividends, which is kind of illegal. And that assumes with zero R&D for the next 10 years, I can maintain the current revenue run rate. Now, having done that, would any of you like to buy my stock at $64? Do you realize how ridiculous those basic assumptions are? You don’t need any transparency. You don’t need any footnotes. What were you thinking? Now, the same music is playing but the players have changed. 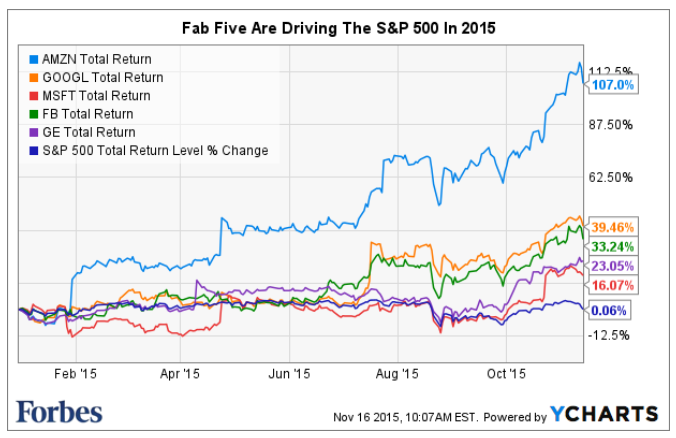 The Fab Five are “NEED TO OWN” stocks for money managers who wish to NOT underperform in the short-term. GE_VL certainly the the financial metrics, growth, and rising stocks prices make these easy “one-decision” stocks. Let’s take AMZN because this company has a dominant position in retail that seems to be growing. Read more at How Amazons Long Game Yielded a Retail Juggernaut. Can’t you see many Americans becoming addicted to Amazon’s Prime service? Poor Wal-Mart and other retailers. However, IF AMZN doubles in market cap over the next 10yrs or a 7% annual return, and ends up trading at 21.9x earnings (current SPX p/e) in 2025, it needs to grow net income 55%/yr! Since 1973, 0.28% of companies have grown earnings at 55% for 10 years (Source: O’Shaughnessy). Do you like those odds? Or are you so smart that you can tell that AMZN will win the lottery? Have a great weekend and Thanksgiving for those in the USA! How is your analysis of Valeant progressing? I hear crickets. Update: The top 10 stocks in the S&P 500 are +13.9%. The other 490 are -5.8%. Largest spread since the late 1990s. Can you hear the bells ringing?